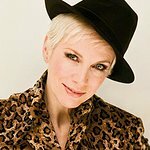 Annie Lennox will be a guest speaker at a special charity dinner and auction next month. Love Is All We Need is a UK-based volunteer charity organization that aims to transform lives and communities in sub-Saharan Africa that have been devastated by AIDS and poverty. The charity’s dinner and auction event will take place on World AIDS Orphans Day on May 7 at the Millennium Gloucester Hotel in London, and Lennox will speak about about her experiences in South Africa and her fight against the HIV/AIDS epidemic with her SING Campaign. The evening will include a drinks reception, a three course dinner and an auction. Tickets are £80 each or £700 for a table of ten.